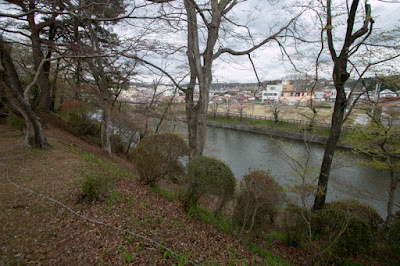 Tanagura castle (棚倉城) is located in the center of Tanagura town, the one places at the southeastern edge of Koriyama basin, and 15 kilometer southeast from Koriyama city. 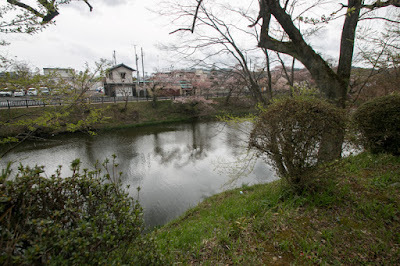 Tanagura area is an entrance of long valley of Kujigawa river which flows south-southeast ward toward Hitachi Ota city of Ibaraki prefecture, and also connects to Yashirogawa river, a tributary of Abukumagawa river which spreads at the middle of Koriyama basin toward north. 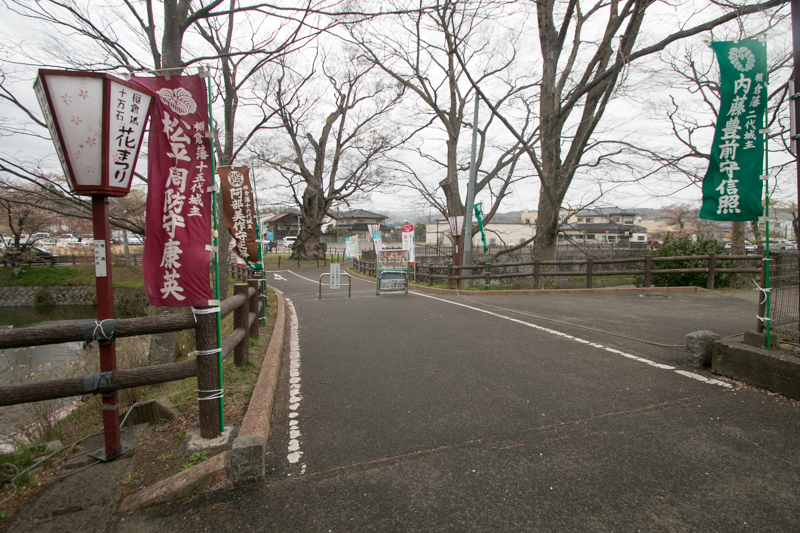 Because of its geographical condition, along with Shirakawa area which connects to Kanto basin through Otawara area, Tanagura area was another gate from Kanto plain to Tohoku region. 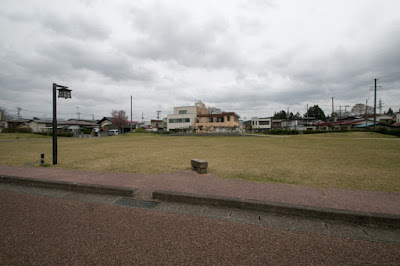 Even today, Suigunsen line and Route 118 works passes Tanagura town as a second route between Kanto plain and Tohoku region. The valley of Kujigawa river was narrow and it was impossible to march large size army, but this place had been a target of struggle between the lord of Kanto region and Tohoku region. 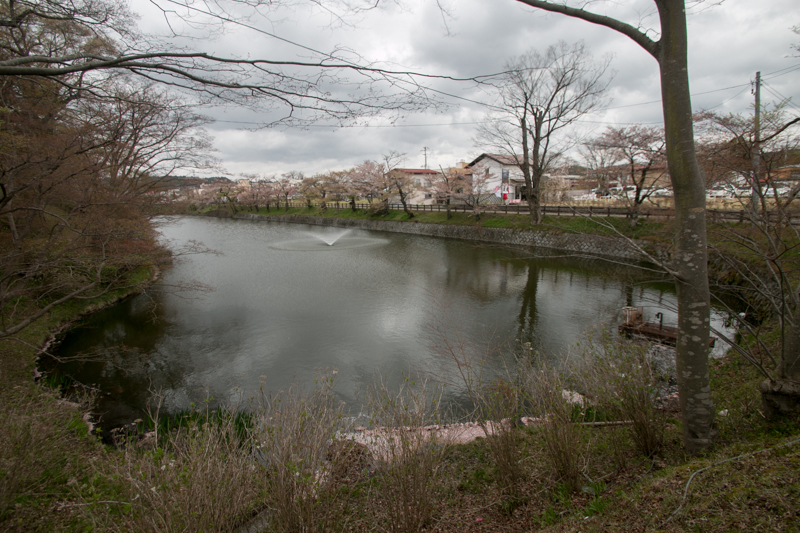 Originally Tanagura area was governed from Akadate castle, a simple medieval castle at the north of current Tanagura town. 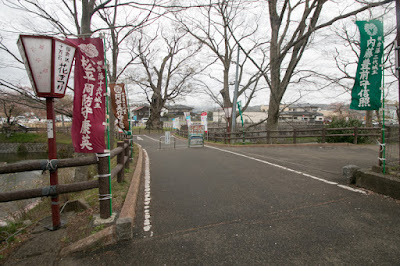 In medieval era Tanagura area became the territory of Shirakawa Yuki clan which resides at current Shirakawa city area. 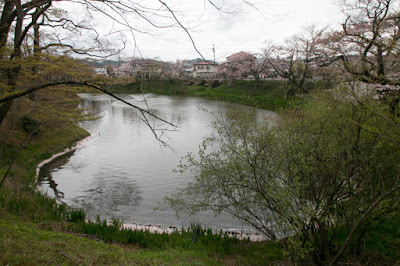 But in the former half of 16th century, Satake clan which was the warlord of Hitachi province (Ibaraki prefecture) which overcame the rebellion of its retainer Yamairi clan next advanced into Tohoku region through the valley of Kujigawa river. 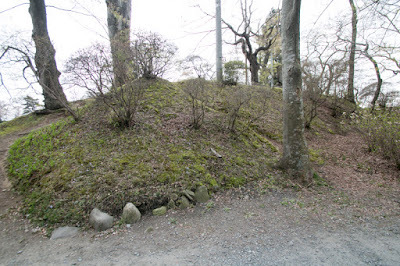 In response to this, Shirakawa Yuki clan allied with Ashina clan which was the warlord of current Aizu Wakamatsu castle and once recovered Akadate castle. 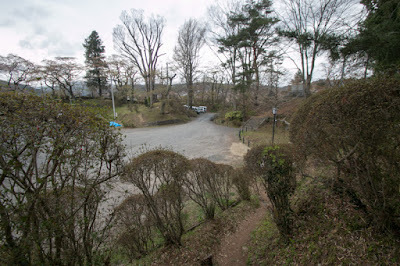 Satake clan continuously tried to capture Akadate castle, but Shirakawa Yuki clan barely kept Akadate castle under the support of Ashina clan, or Masamune Date (1567-1636) who was the warlord of Yonezawa castle and ruined Ashina clan in 1589. 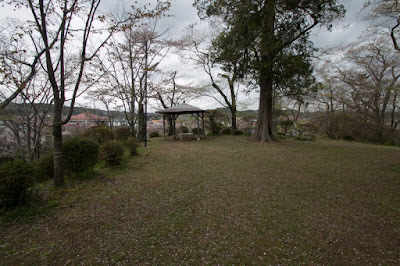 But as a result of Odawara campaign by central ruler Hideyoshi Toyotomi (1537-1598), Tanagura area was given to Satake clan which was close to Hideyoshi. After the death of Hideyoshi, the battle of Sekigahara arouse between Ieyasu Tokugawa (1543-1616) who was the largest lord under Toyotomi government, and Mitsunari Ishida (1560-1600), the chief administrative staff of Hideyoshi. Satake clan was close to Mitsunari but kept neutral, but Ieyasu who won the battle and became the next ruler punished Satake clan and moved it to Dewa province (Akita prefecture). 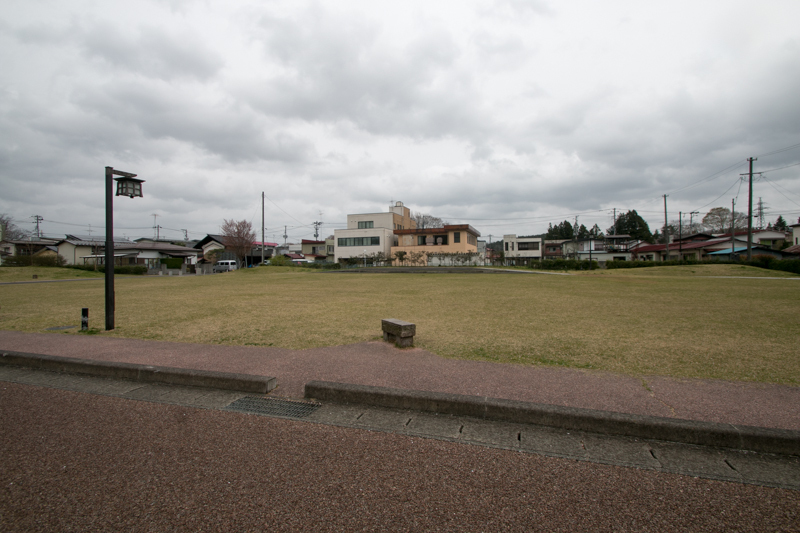 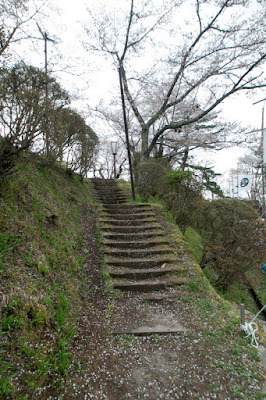 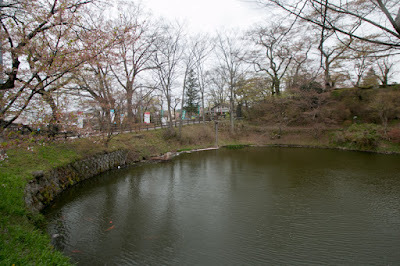 At this time Tanagura area once became the territory of Edo Shogunate. In 1603, Muneshige Tachibana (1567-1643) was appointed as a lord of Tanagura area. Muneshige was originally a general of Otomo clan who was the warlord of Bungo province (Oita prefecture). 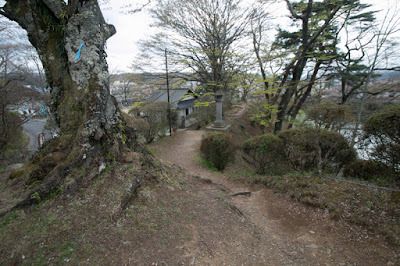 Both of his adoptive father Dosetsu Tachibana (1513-1585) and Jyoun Takahashi (1548-1586) were known as brave generals and desperately supported declining Otomo clan after the defeat of battle of Mimikawa in 1578. In 1586, at the battle against Shimazu clan, Jyoun who besiege at Iwaya castle (Fukuoka prefecture) died after brave fight. 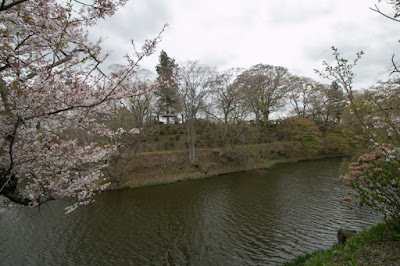 But Muneshige well kept his main base Tachibanayama castle, and once the reinforcement of Hideyoshi Toyotomi arrived, Muneshige quickly recovered deprived castle and made extremely achievement as a vanguard. 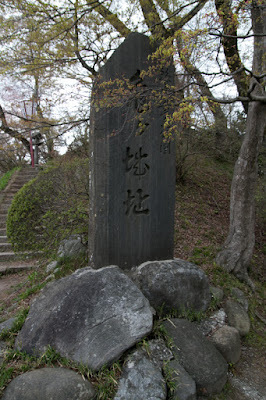 Muneshige was praised as "Muneshige in Western Japan and Tadakatsu (Tadakatsu Honda who was the bravest general under Ieyasu Honda), and made brilliant military gains again and again. 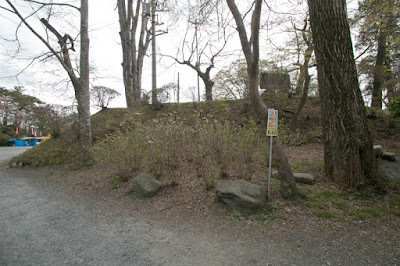 At the battle of Sekigahara, Muneshige clearly supported to Mitsuie to return a favor of Hideyoshi who rescued Muneshige, and fell Otsu castle (Shiga prefecture) but could not participate in main battle of Sekigahara. After the battle Muneshige once lost his territory and became unemployed, but Ieyasu who missed his braveness and honesty hired Muneshige as his staff. 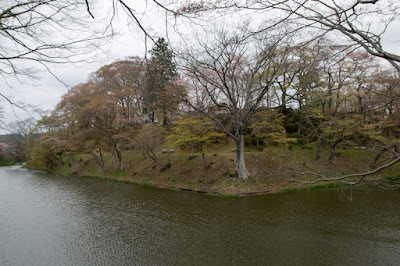 Later Muneshige showed his tactical talent at the battle of Osaka castle, the promoted to the lord of Yanagawa castle (Fukuoka prefecture) which was his former territory before the battle of Sekigahara, and left Tanagura area. 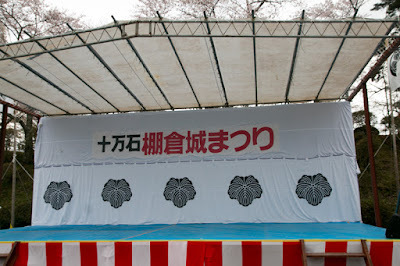 Nagahide supported Hideyoshi to seize next hegemony. 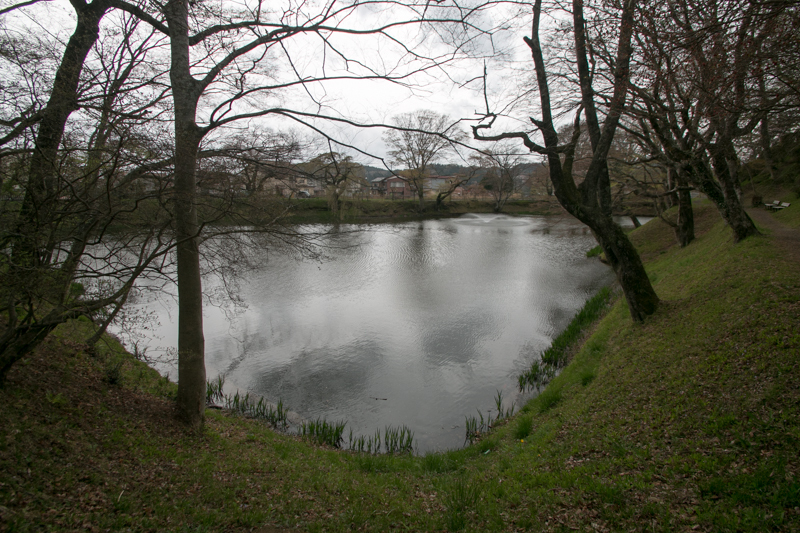 Hideyoshi once gave large territory to Nagahide, but after the death of Nagahide, Hideyoshi deprived most of the territory of Niwa clan. 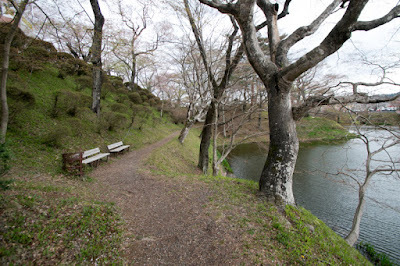 Nagahide fell into a small lord of Kaga province (Ishikawa prefecture), and lost even this territory after the battle of Sekigahara. His father Nagahide was not so brilliant as Hideyoshi, but steadily worked under Nobunaga and compared to rice because of indispensability. Nagahide also worked as a director at the construction of Azuchi castle, the first modern huge castle built as a residence of Nobunaga. 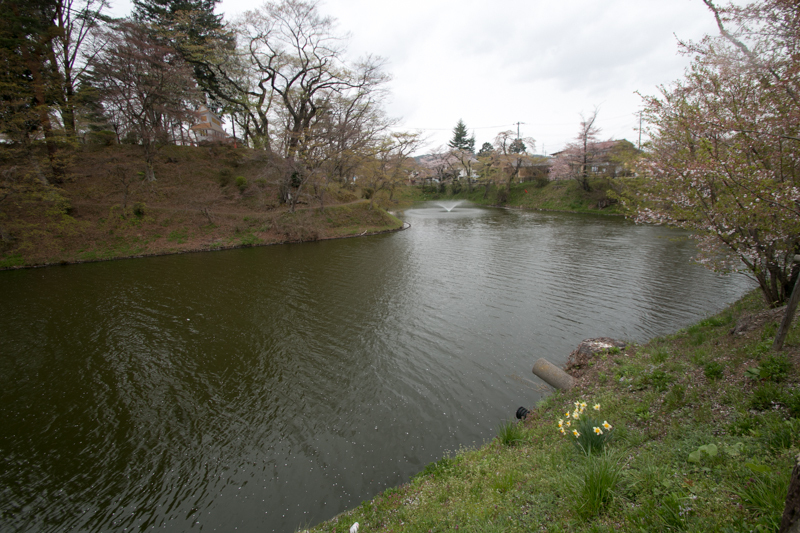 Nagashige succeeded this character of Nagashige and was evaluated it by Ieyasu. Nagashige became the lord of Tanagura area decided to build a new castle in 1625, and chose the height between two creeks. 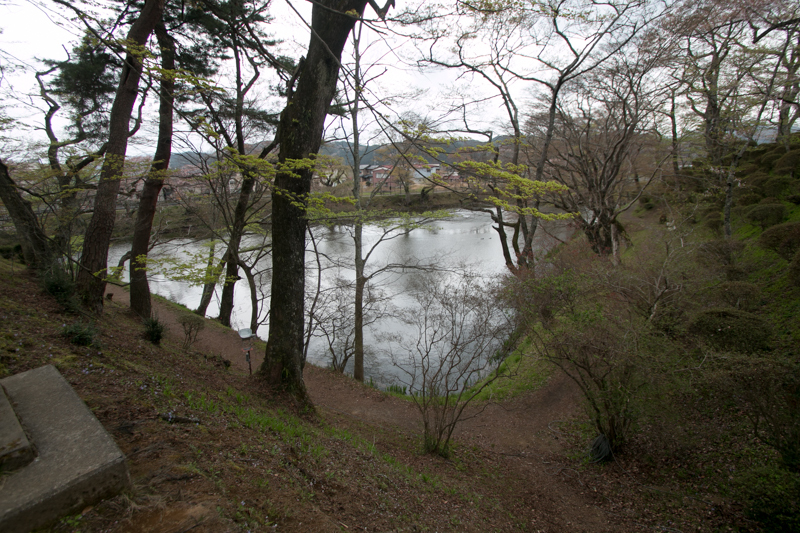 Once lost everything, Nagashige did not so much fund thus this castle was basically built by clay, but was planned by latest technology. Central area of this castle is a rectangular area of 200 meter long and 100 meter width. 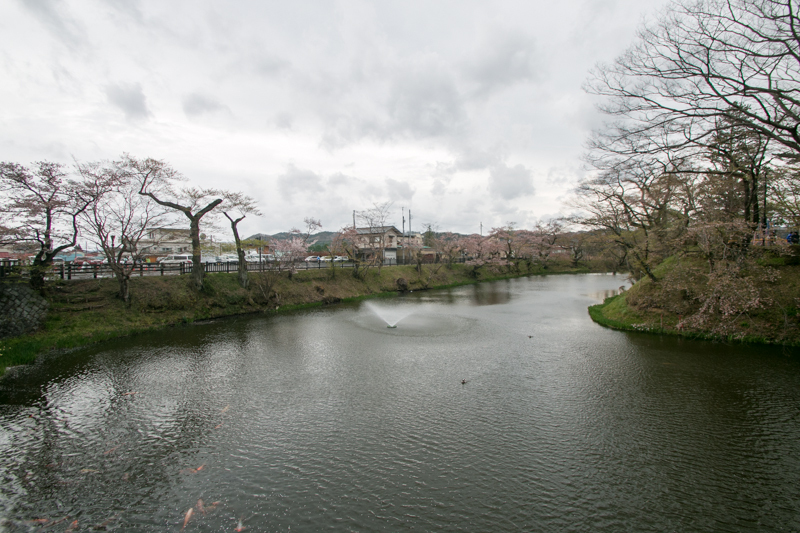 This central area is securely protected by thick and tall clay wall of 10 meter high, and also surrounded by over 20 meter wide water moat. Front side gate at southeast edge and backside gate at middle of north line are a masugata style combined gate, and there stood four corner turrets at each corner. 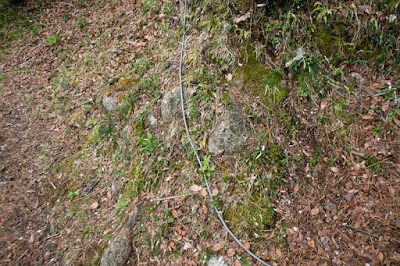 The line of clay wall area folded to enable cross fire against enemy. 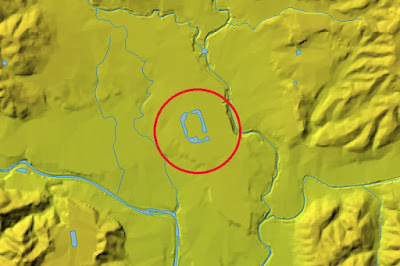 Secondary area spreads outside of whole direction of central area. 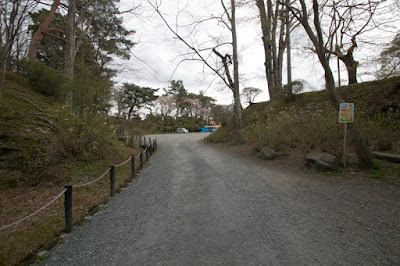 The gates are built at north side, east side and south side, and its west side faces the cliff is protected by stone walls. The north side of the castle directly faces the outside at same level is also guarded by third area as a buffer area. 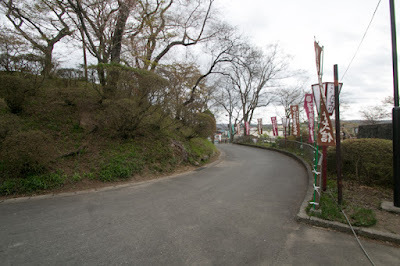 Total size of Tanagura castle reaches 500 meter long and 200 meter wide. Originally Tanagura area is a small basin of 2 kilometer long and 600 meter wide, and Tanagura castle shows its presence strongly if looked at an aerial photograph. 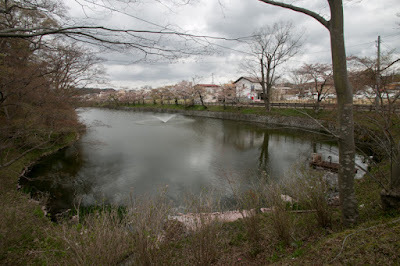 But after two years from start of construction, Nagashige moved to next Shirakawa area with larger territory, just after the completion of Tanagura castle. Nagashige newly built Shirakawa castle (Shirakawa Komine castle) as his residence, as a modern castle with stone walls this times. 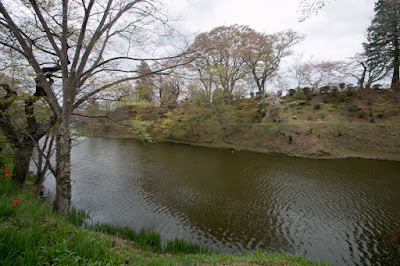 Furthermore, Mitsushige Niwa (1622-1701), son of Nagashige, next changed to the lord of Nihonmatsu castle (Fukushima prefecture) and renovated it as a fortress. 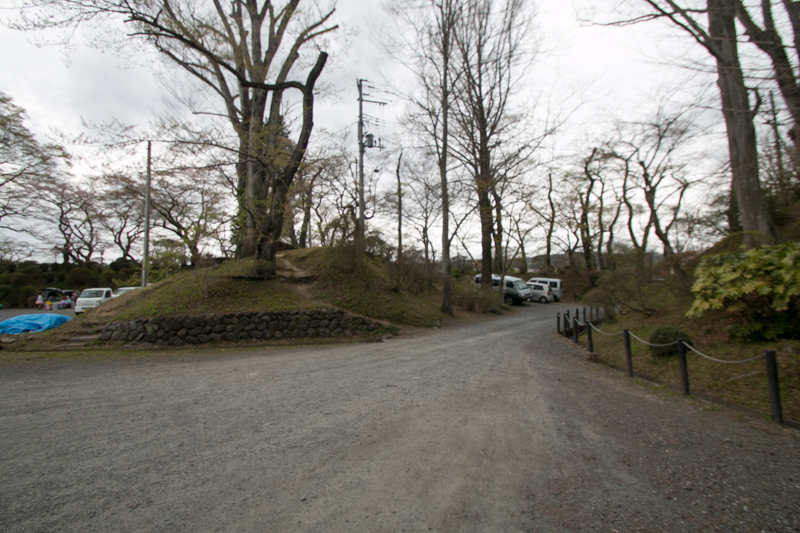 It is not clear if it is intended or not, but as a result Koriyama plain was protected by a triangle of three castles built or renovated by Niwa clan, Nihonmatsu castle at north corner, Shirakawa castle at southwest corner and Tanagura castle at southeast corner. After Nagashige, hereditary retainers of Edo Shogunate became the lords of Tanagura domain in turn. At the time of Meiji revolution, Tanagura domain participated in anti-new government alliance of the lords of Tohoku region. 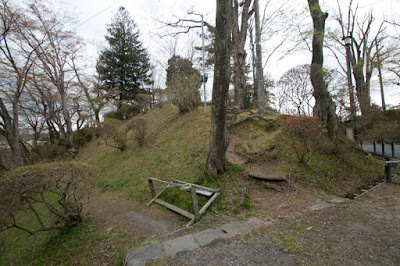 But Tanagura domain army lost its army at the battle of Shirakawa castle, then Tanagura castle was attacked by detached army and fell in one day. 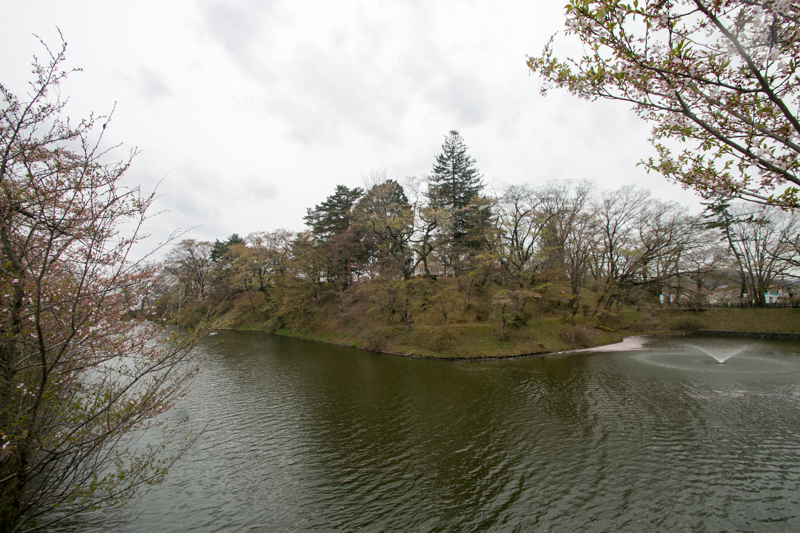 Castles are evaluated by various factors such as largeness, planning, security, beauty and so on, but as a military facility, ultimately they are assessed by actual battle result. 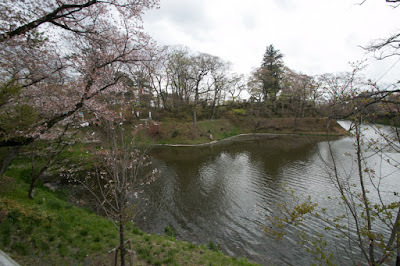 From that view point, Hideyoshi Toyotomi who was the ruler and first castle architect showed his talent by Fushimi castle and Osaka castle, both were not fallen by mere physical attack. 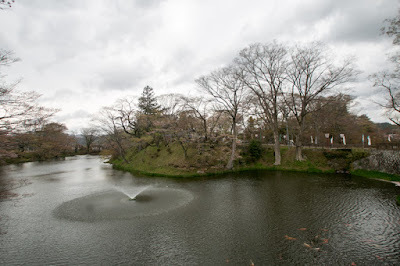 His general and pupil Kiyomasa Kato (1562-1611) also showed his excellence by Kumamoto castle (Kumamoto prefecture), which endured semi-modern castle siege over 200 years after construction. 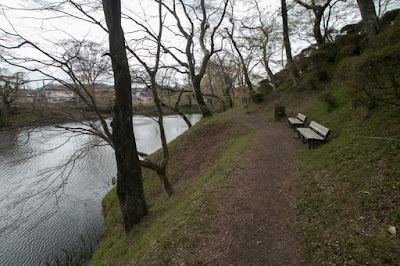 Takatora Todo (1556-1630), another excellent castle architect, did not have such opportunity as his castles were not involved in actual battle, for good or bad. 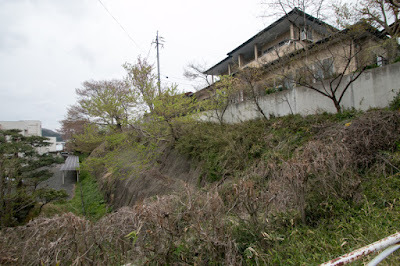 On the other hand, as Fukushima prefecture became the front between Meiji new government army and anti-new government alliance, all of three castles built by Niwa clan were involved in actual battle and fell in short time. 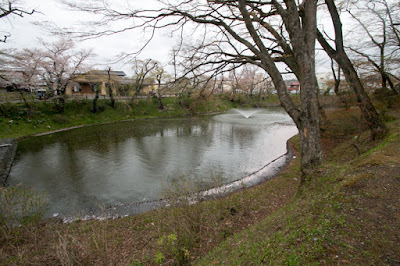 Looking only at surface, Niwa clan might be scored as "fail". 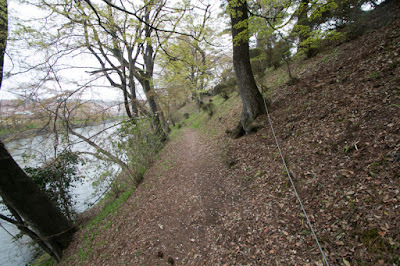 But it is derived from the difference of situation, not by talent or sense. Needless to say Hideyoshi was the ruler of Japan, and Kiyomasa was an important general of Hideyoshi and Ieyasu who held large province. 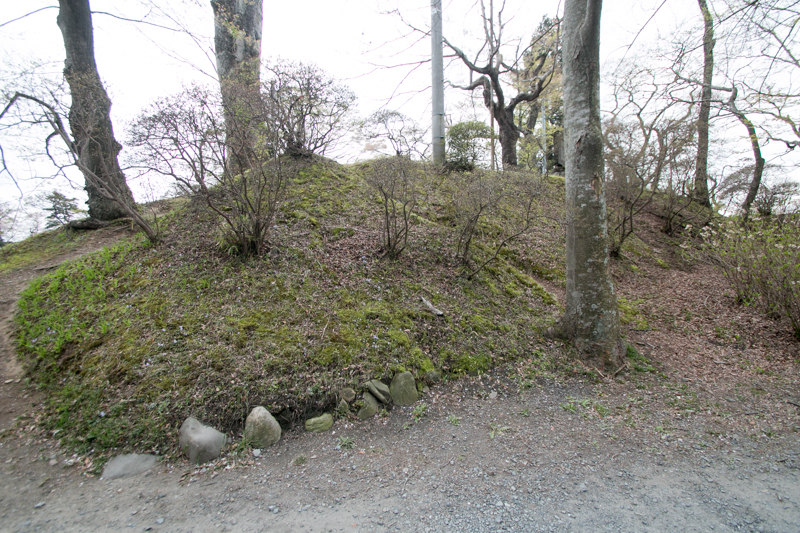 Takatora was a middle size lord but was trusted by Edo Shogunate, and many of his castles were built as official constructions of Shogunate. 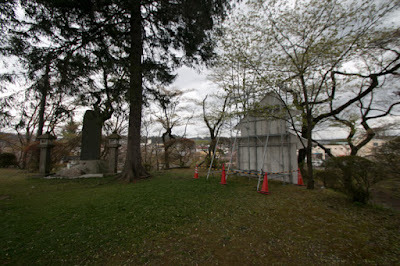 Because of above situation, they could put into abundant manpower and materials for their castles. 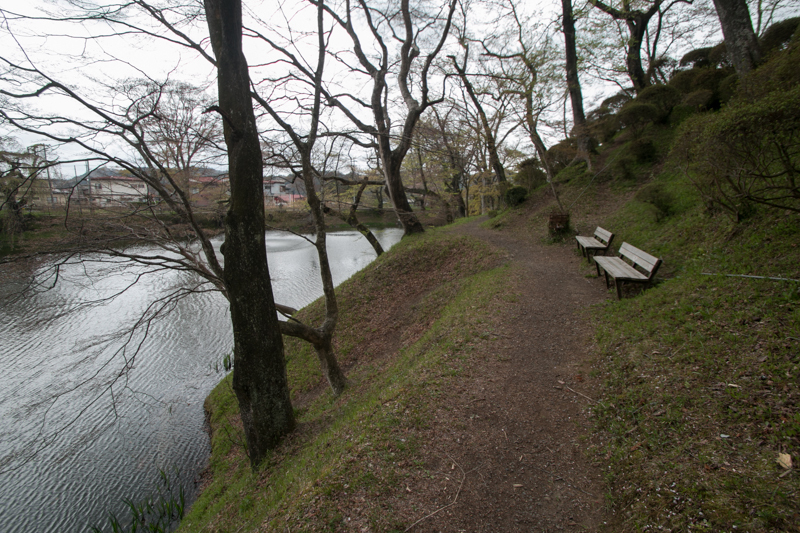 Kiyomasa cut the edge of the hill and built rising stone walls, and Takatora dug water moats at large scale and made wide and deep water moat. But Niwa clan once lost everything could not do so rich construction and had to manage under their limited budget. 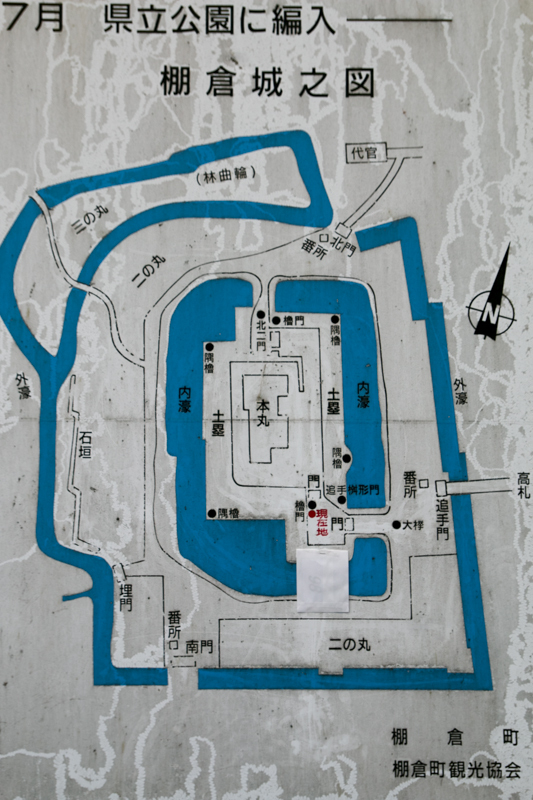 To spare such limitation, Niwa clan maximize the shape of the terrain and added minimum defense facility. For Tanagura castle, the site of the castle which on the narrow height at the middle of two creeks is already a natural fort, then by adding central area it worked as a castle briefly. 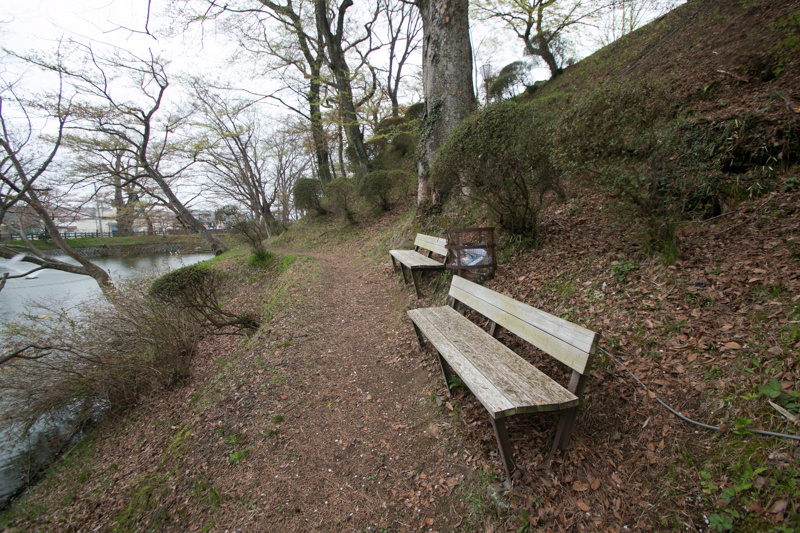 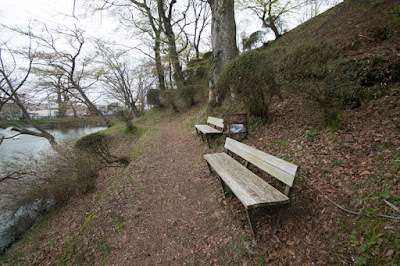 Shirakawa Komine castle also effectively used a small hill which is protected its whole north side by Abukumagawa river. 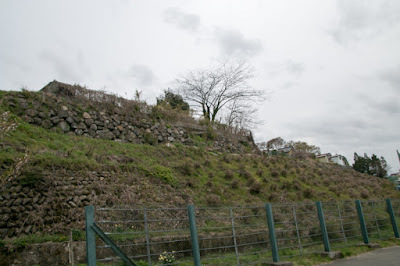 Because of this geographical condition, it was necessary to built stone walls at its southern front. 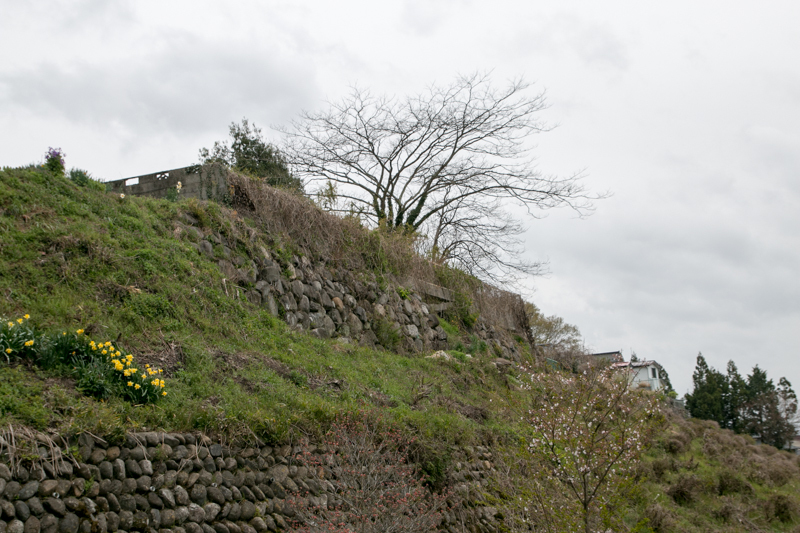 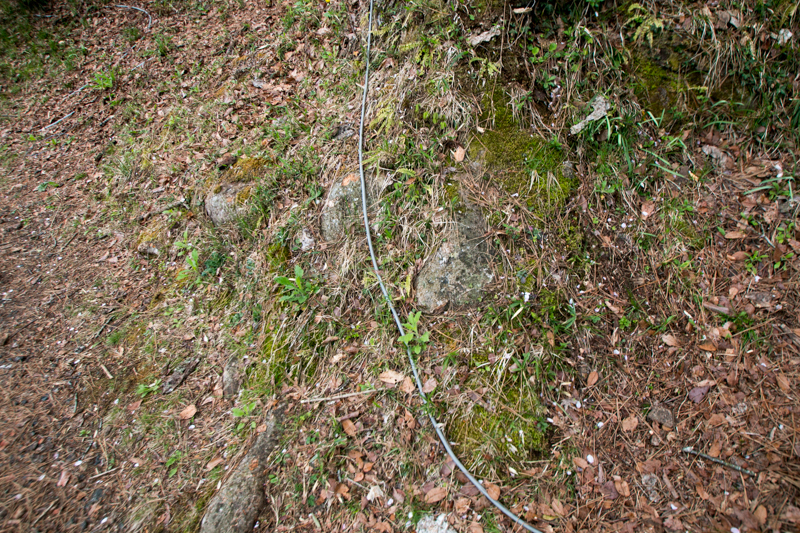 Considering the budget and small army of Shirakawa domain, stone walls of the castle are complexly folded. 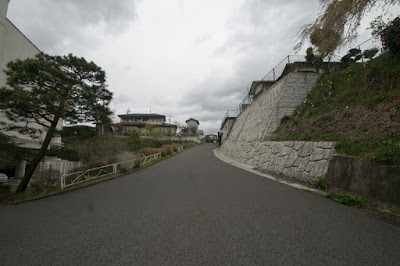 Regarding Nihonmatsu castle, castle hill was so large and Niwa clan could only build front side hillside terrace and hilltop central area by stone. 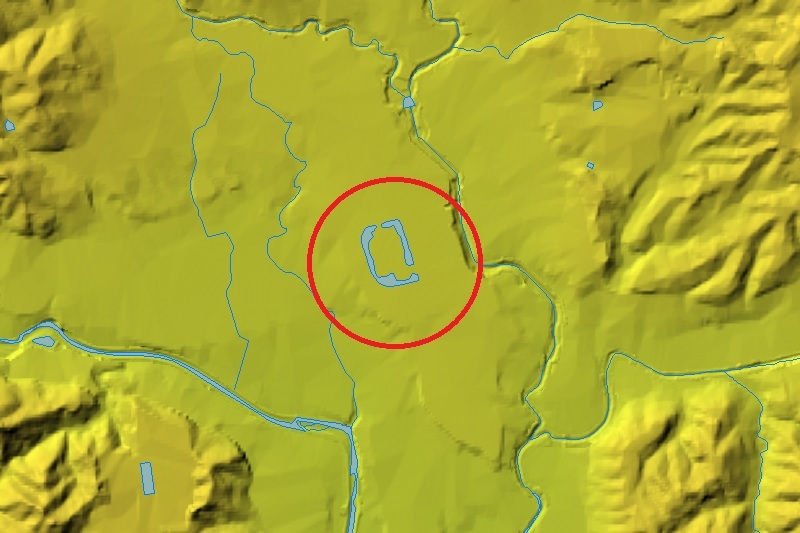 But from the north and south edge of castle hill two ridges continues toward east and meets at 1 kilometer east from castle like a square shape. 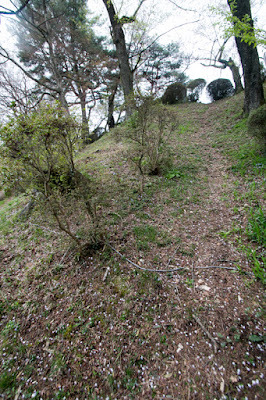 Nita clan effectively used this shape of the hill as a natural fortress, without massive construction. 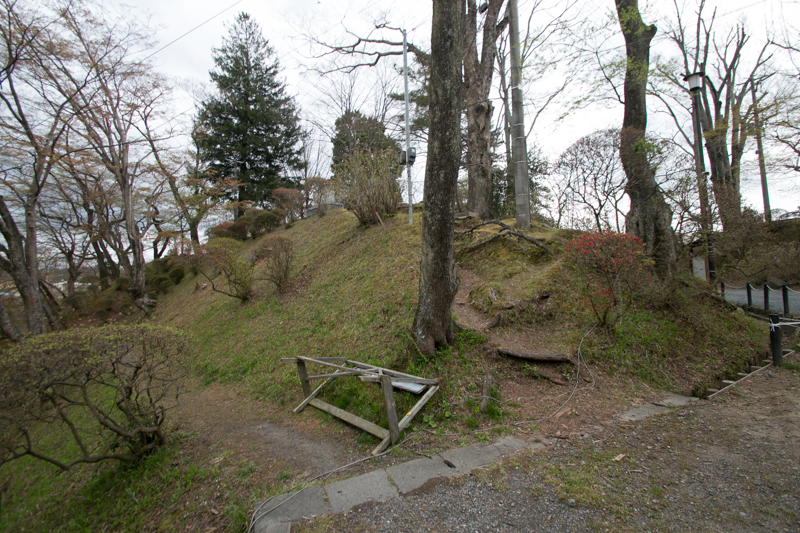 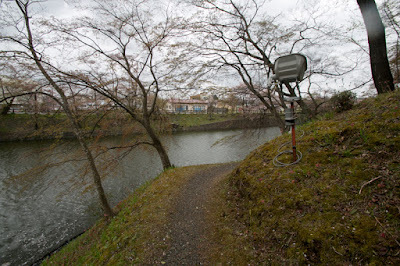 Different from Kiyomasa or Takatora who was the master of huge and artificial fortress, Niwa clan was a good architect of the castle well utilized and coordinated with the nature. In contrast to the massive but inorganic image of the castles built by Kiyomasa or Takatora, castles built by Niwa clan are small but beautiful with nature, especially in flower season. 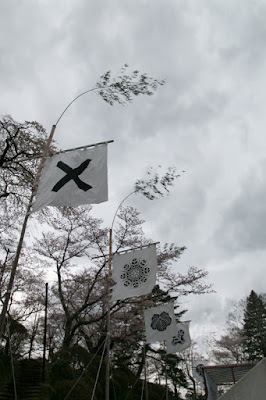 But this character worked negatively at the battle between Meiji new government and anti-new government alliance army. Because of limited size these castles could not hold sufficient soldiers and supplies, and natural defense line could not stop the enemy. 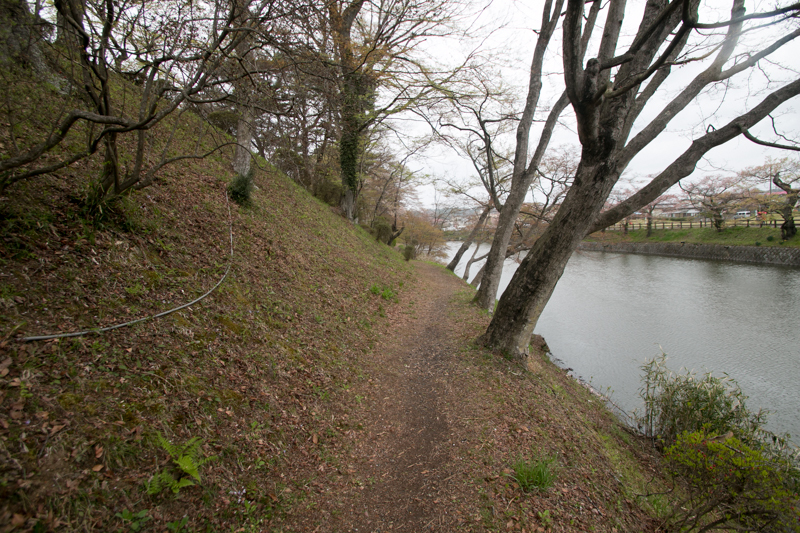 New type rifles easily exceeded narrow moat and low stone walls, and building on the hill became the good target of the cannon. 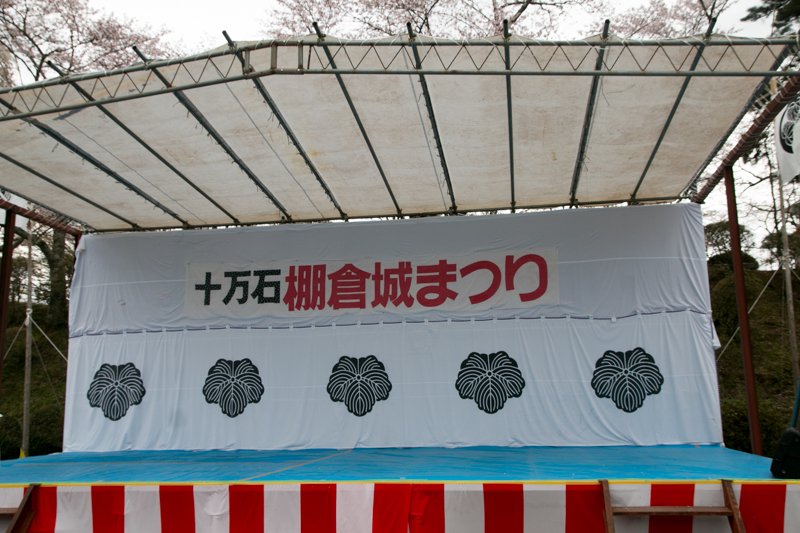 It is not clear Edo Shogunate recognized such defects. 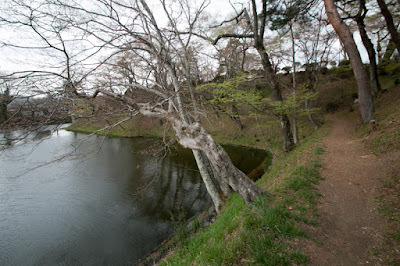 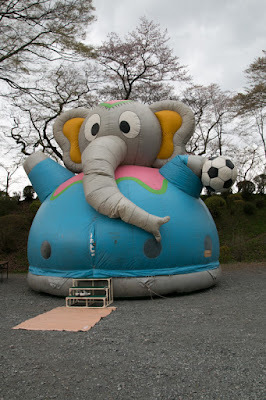 but continuous famine of Tohoku region did not allow lords to expand or reform castles. Furthermore, originally these castles were planned to fight toward north being supported by dominant Shogunate army from backside, but actually they have to fought against dominant army came from southward only by themselves. 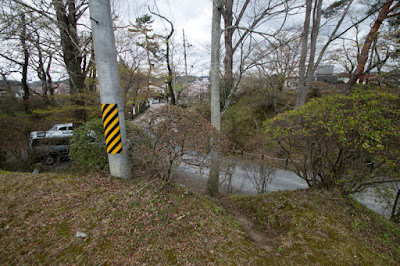 But such situation by far exceeded the estimation and responsibility of Niwa clan. 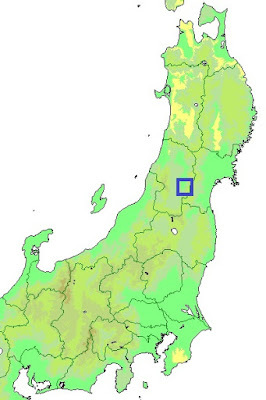 Edo Shogunate is to be blamed not to spend budget for the defense of Koriyama basin, an important corridor connects Kanto region and Tohoku region. 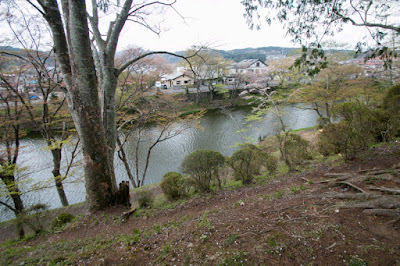 If Niwa clan continued as a large lord from the period of Nagahide Niwa they could build other style excellent castles, but these remaining three castles are fully attractive respectively and well shows genuine worth of Niwa clan as a castle architect. 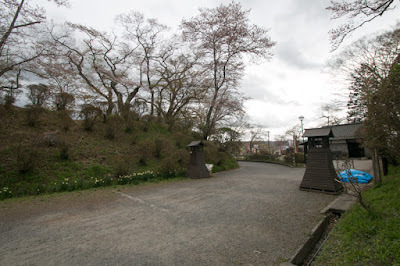 Subsequent to Meiji revolution, Tanagura castle was abolished and all buildings except for one gate transferred to neighbor temple. 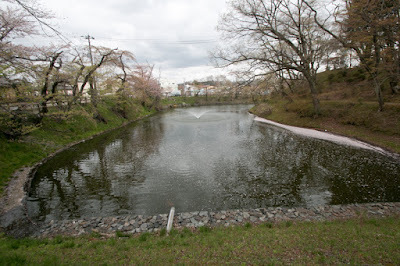 But the shape of central area with surrounding water moat remains as before, with the folk of turtle which emerges at the change of the lord. 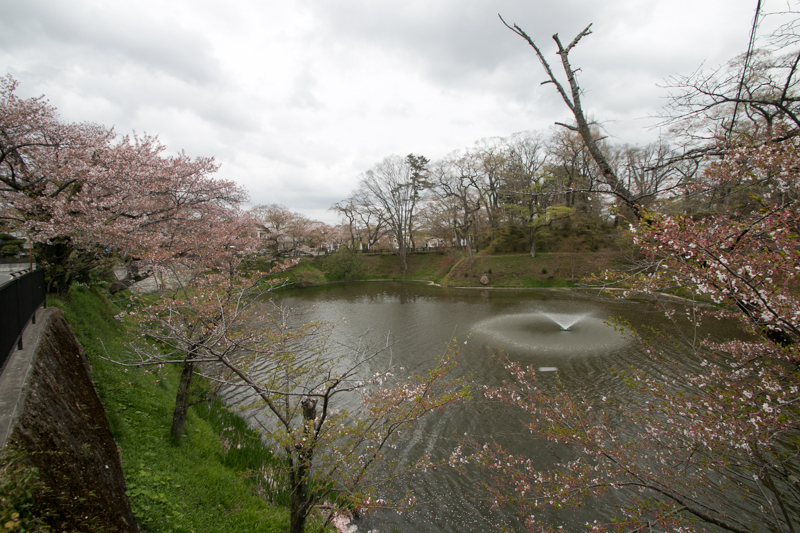 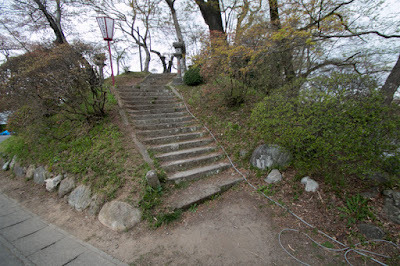 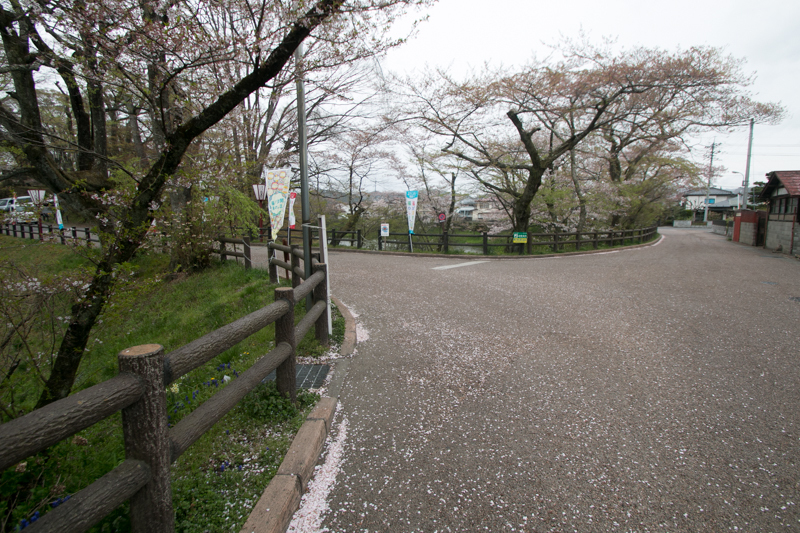 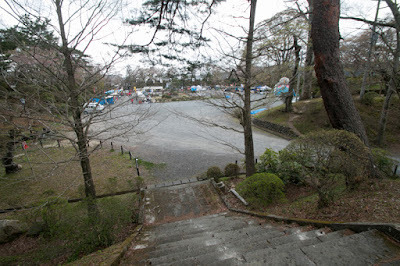 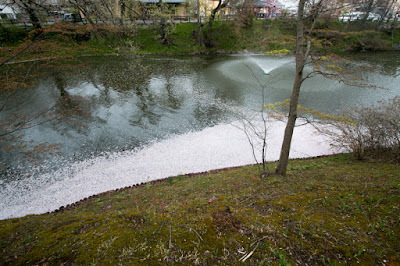 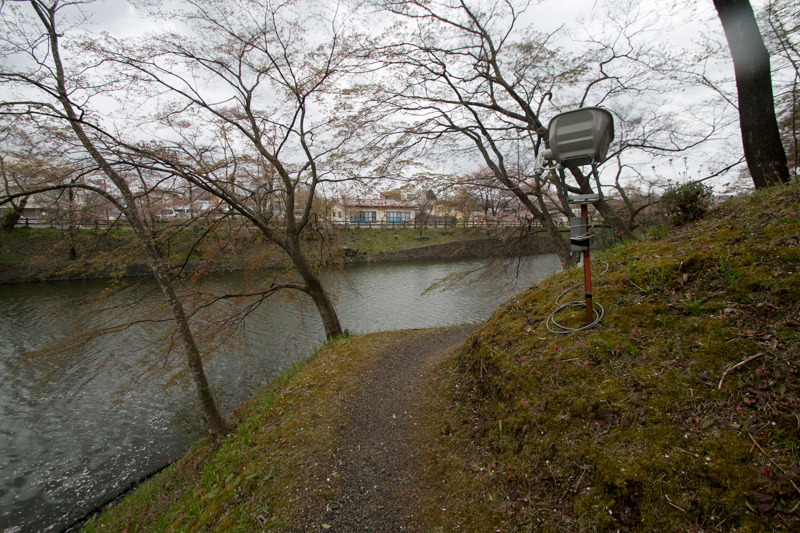 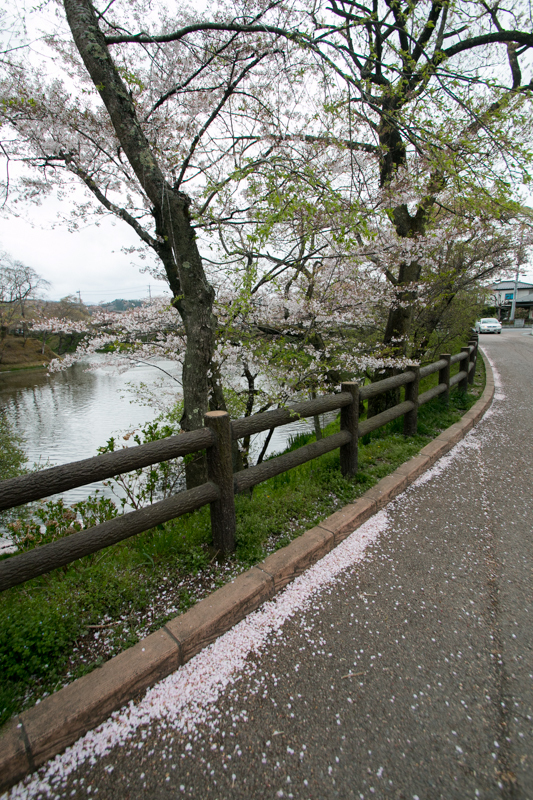 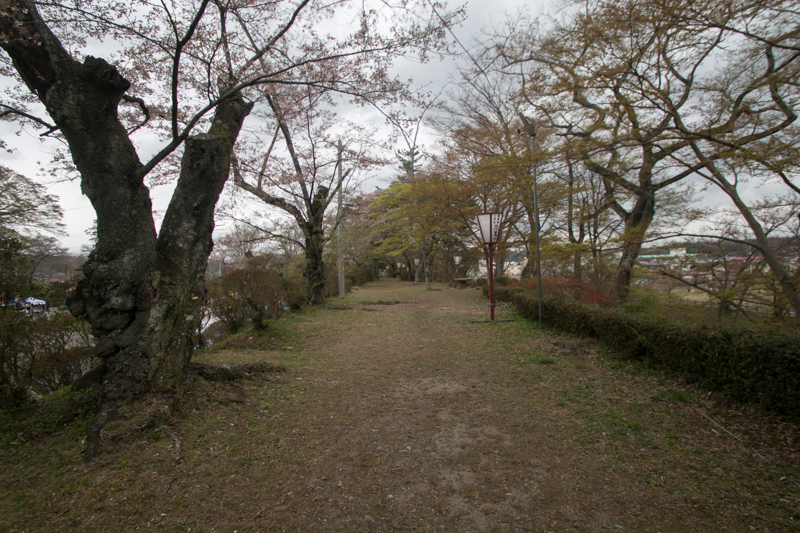 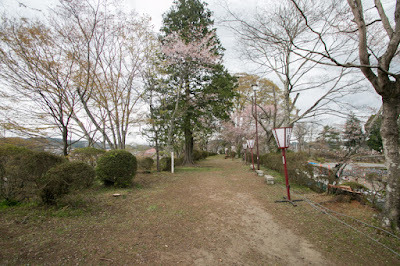 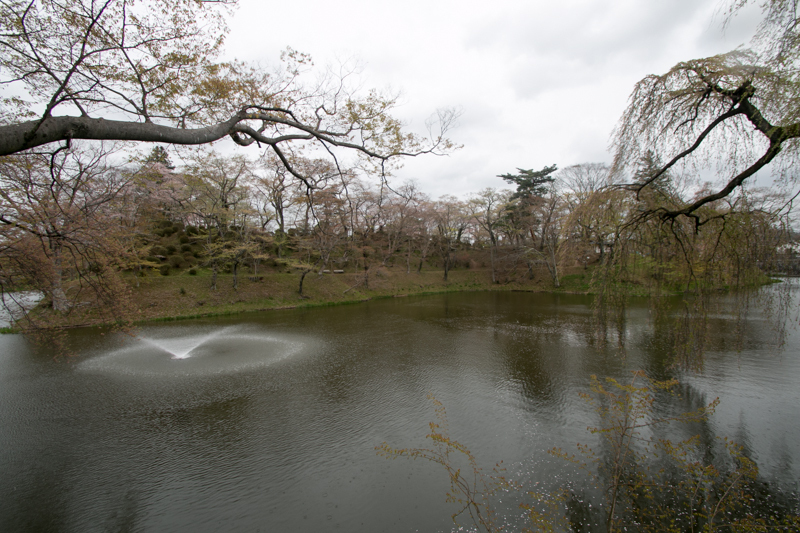 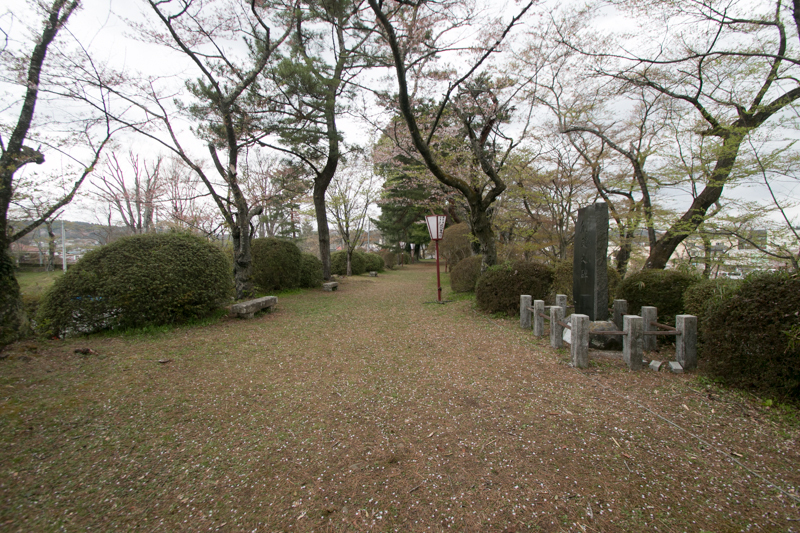 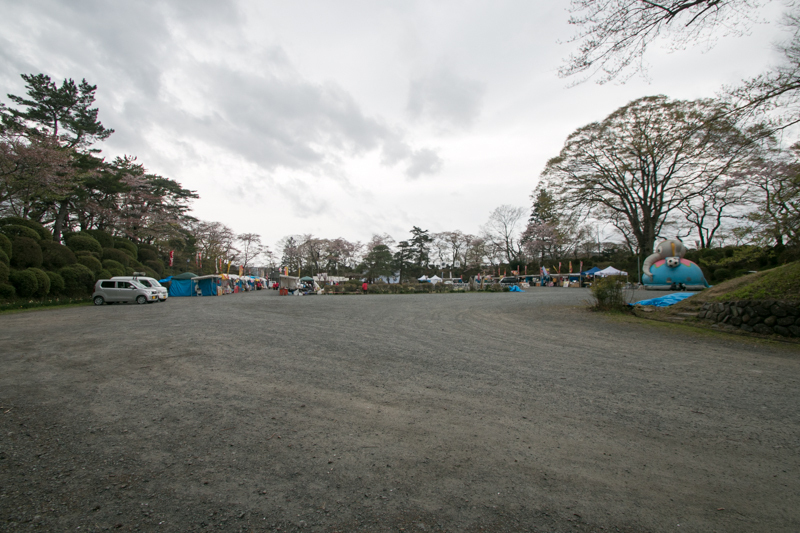 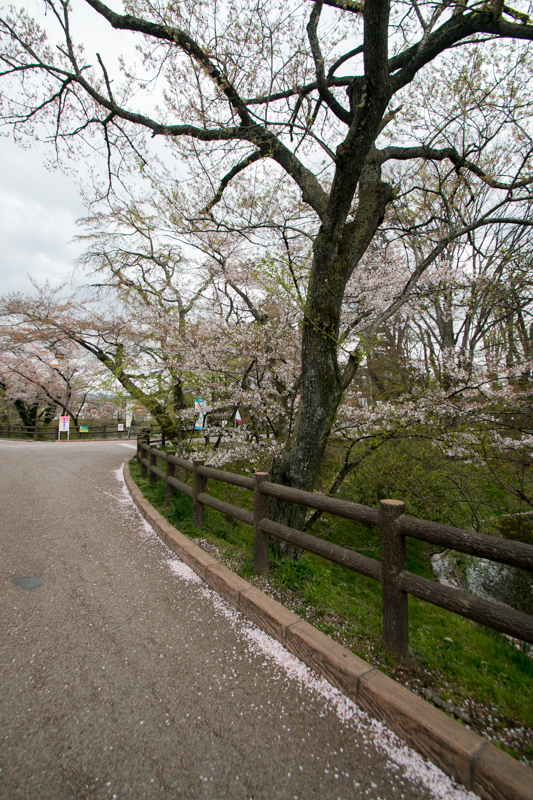 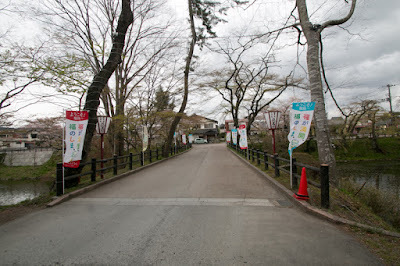 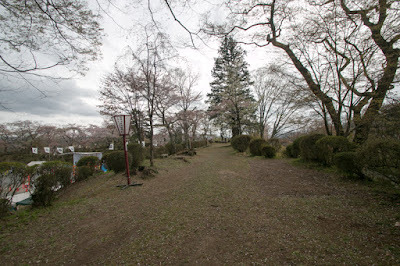 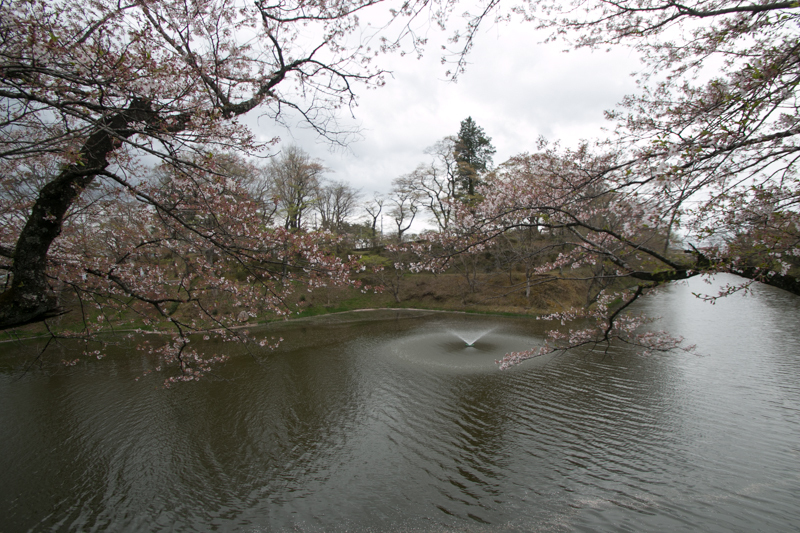 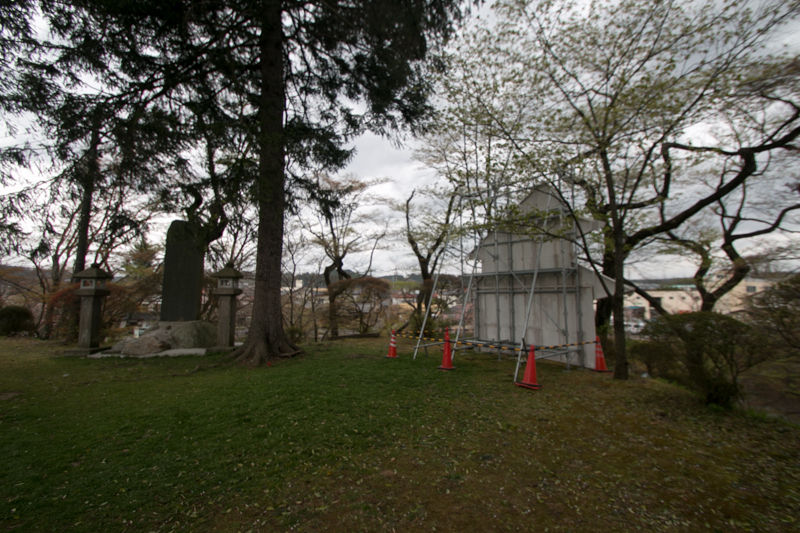 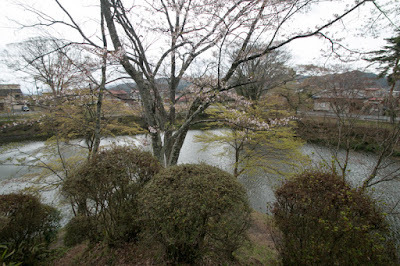 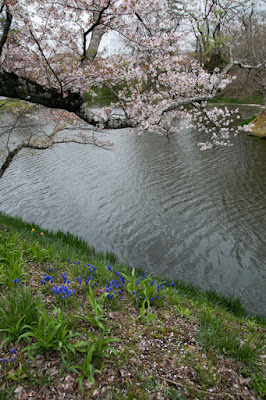 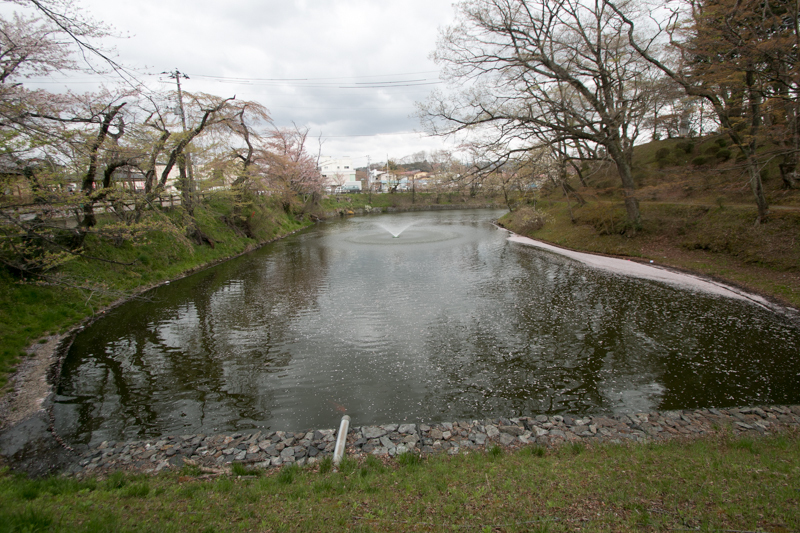 Now castle site becomes Kamegajyo park, and cherry trees are planted around the castle. 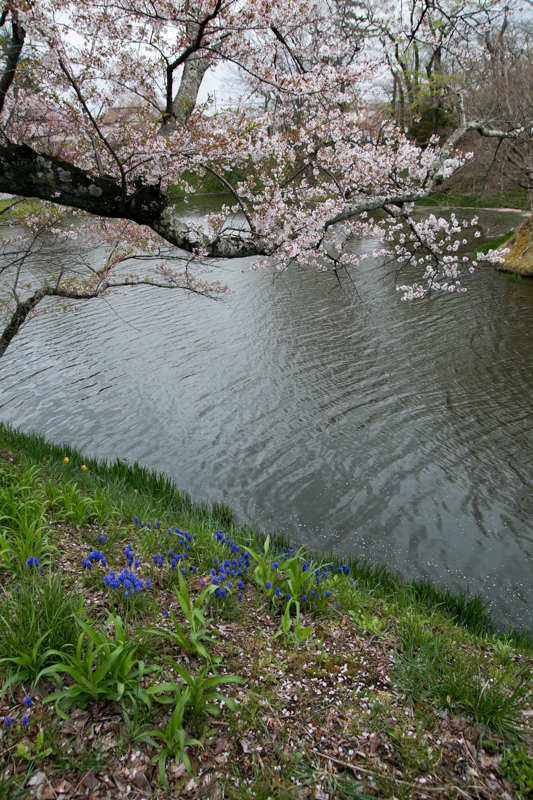 In spring whole castle is covered by beautiful cherry blossom, and this emphasizes a familiar image of this quiet castle. 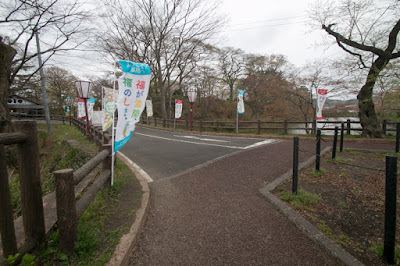 15 minutes walk from JR East Suigunsen line Iwaki Tanakura station (number of trains is quite limited). 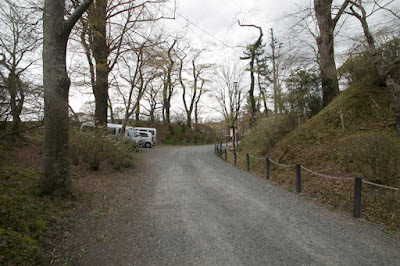 30 minutes drive from Tohoku Jidoshado Expressway Shirakawa interchange.